It's almost that time of year again! For Contest Craze! I know it seems a bit early but it takes time for me to prepare! I have already had authors start donating! I am still accepting donations! If your an author please contact me if you want to donate! I will also be taking mini challenges volunters (where you host one on your blog) the beginning of September so stay tuned for that. I have also begun getting boxes of books for the Mini Challenges. I will also be hosting some individual contests this year too as well. There are a lot of prize packs I will be sending out for mini challenges. So, I am taking donations once again this year. The money donated will help me ship out the prizes. Please donate a dollar or two (or more if you want) to help me ship out prize packs! Please donate through the paypal logo at the top of the blog! I will be updating this as we go to meet our goal. One person who donates will also win a prize pack, which will be sent out as soon as we meet our goal (no waiting for October). If you donate, please leave a comment saying you donated! Please vote on the poll on the left hand side! 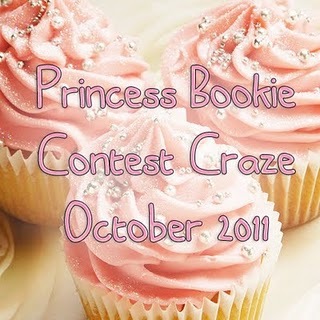 Contest Craze is in October this year! If you want feel free to steal a button and put it on your blog! Buttons can be found HERE. If your an author and want to donate please contact me HERE. I donated a little to help. I love contests and I know what shipping costs. So, thanks! Looking forward to your Contest Craze! I just donated $2 because I love your contests! Can't wait! Donated! I would also love to host a mini challenge!